Life is so interesting sometimes. Certain events happen and, at the time, they may not mean much, but in looking back, you realize that something was at work; call it a higher power, karma, divine intervention—whatever it is, it’s amazing. 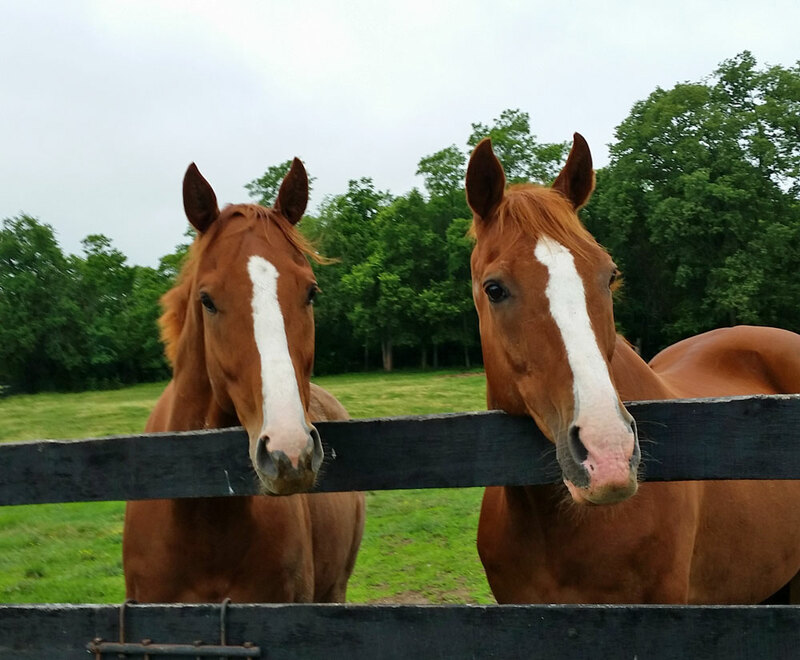 I began working for New Vocations Racehorse Adoption Program in the summer of 2014. 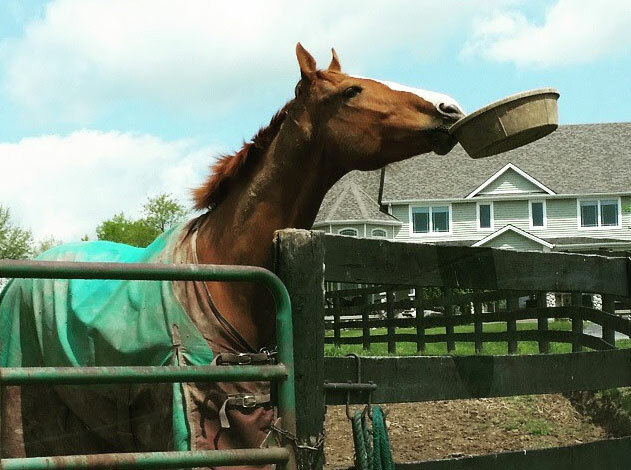 While I loved meeting the retired Thoroughbred racehorses and learning their stories, I wasn’t really in the market for one as I already had Iggy, a grumpy red OTTB whom I loved more than life itself. I knew I didn’t have the financial resources, or the time, to take on another horse. Nori Scheffel, the owner of the barn where I board, is one of my very dearest friends. 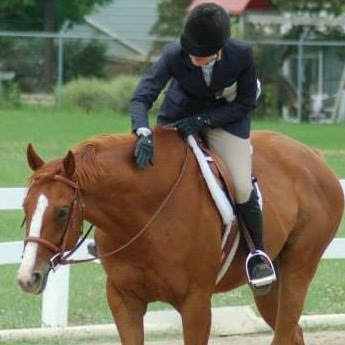 She knew that Iggy’s competitive days were wearing thin, though he was my 3-foot hunter and equitation horse until just a few months before we knew his health was failing. She encouraged me to begin searching for a project horse and offered to help. “Nah,” I thought, but fully recognized her kindness. My coworker, Melissa King, called me one day and said she had something red and special ship to her from Thoroughbred trainer Todd Pletcher’s barn. Having sold as a 2-year-old for $400,000, “Busy Chizzy” was a failure on the track, winning only $7,000 during his two-race career and retiring with a small bowed tendon in his left front leg. “I’m good, but thank you!” I told her. Kelli Cross, who cares for some of our rehabilitation horses at her breeding farm in Kentucky, called me a few days later. I swear I could hear the baby horse laughing every time I consoled myself with that thought. Oh, Chizzy. This horse is hilarious. Every horse I have owned has been unique, and loved me in a very specific way. My Iggy J despised any person (or horse) that diverted my attention from him. When I called him to the gate, he would chase the other horses away, making sure that he was the only one getting my attention. With two, I began to feel empathetic to parents who had two kids—the older one always feeling cheated by the attention lavished on the younger child. For this reason, and truly because I was worried I was hurting Iggy’s feelings, I enforced a “no PDA” policy with Chizzy. I might pat him, I might scratch him, but I didn’t smooch on him or hug him. But trust me, that beast still knew I thought he was something pretty neat! About three months in to my new two-horse lifestyle, we decided to try turning the reds out together. Chizzy was wreaking havoc in the geriatric field and we knew that Iggy J would put him in his place. To my utter amazement, the two became fast friends (once Chizzy learned who not to mess with the Old Man!) It cracked me up to see them look up and walk to the gate together every time I called for them. It took a close look to tell which horse was which. Six months to the day after Chizzy’s arrival, I was down to only one red horse. I buried my sweet Iggy J at 10 p.m. on Monday, and had a 6 a.m. lesson with Nori on Chizzy on Tuesday. Why? I didn’t want to dread going to the barn. I didn’t want this farm to lose its status as my sanctuary, where I went to heal and to work through life issues. And as I drove into the barn that morning, I thought to myself how lucky I was to have friends who love me enough to really make owning a second horse a possibility for me. Because of them, I was able to ride through my heartbreak. And the barn hasn’t become any less special for me. If anything, I find more solace there than I ever thought possible. Iggy has a lovely grave I visit and tell him how much he is missed. It took months and months, but I no longer expect to see his red face at the gate next to Chizzy’s, though I do still think of him every time I pull in the driveway—and I expect I always will. I feel Iggy on that farm all the time. I know he’s watching over us. The weather turned bitterly cold last week. After a brief hack one morning, I turned Chizzy out and slid my hands under the neck of his blanket to be sure it was secure. In doing so, he tipped his chin down and pulled me into his chest (snuffling for treats, I’m sure). I wrapped my arms around him, burying my face into his furry neck, and was shocked to realize that I had never truly hugged him. 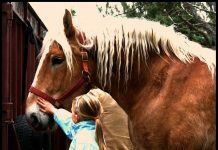 How powerful that wintery, warm-horse smell was, almost knocking me to my knees with a sense of loss for my old red horse, and a sense of sadness that I had mistakenly withheld an act that can so easily convey a sense of trust and kindness. Come to the gate when she calls you, and nicker all the way—you won’t regret it. She ALWAYS has treats! Shake your head when you get a great lead change or when you get a big spot to a fence (but don’t actually buck, that takes too much energy)—it scares her, but makes her laugh and laugh. When she gallops you down to a single fence, prick your ears and lock on—then she’ll know you’ve got this and she can stop micromanaging every footfall. Load yourself into the trailer. The field trips she takes you on are always fun. Open your mouth before she even offers you the bit. She loves to know you want to work for her. How sweet those three words felt leaving my lips. And I do love him. I love him for what he is: silly, sweet and uncompromisingly himself. And I love him more dearly for everything he is not: My Iggy J. 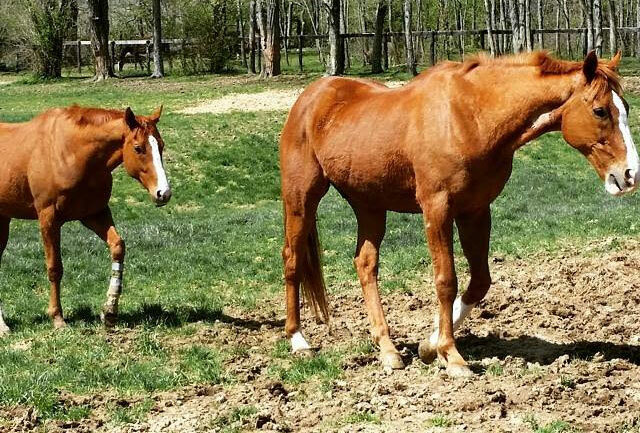 How lucky was I to have two red horses to love, if only for a short amount of time. Next articleHappy Birthday, American Pharoah! A beautiful story of love and loss and allowing yourself to feel again. I lost 2 horses within exactly 1 year of each other for 2 different reasons. Vera in 2013 and Promise in 2014. I still cry for them and the futures we have been cheated out of. Thank you for sharing your story…a tribute to the love and trust between you and your Iggy J. Luckily, I now have Flicka and am looking forward to the bond we can forge. I have always heard, the best go first, and it seems so true. Even a horse that is in their 20’s, when they leave it is way to soon. I have many I still miss. We just lost one of our two horses and my other horse is grieving. They go through the pain that we do as well. I know that he can learn to love again too.